Meeting or presentation is an important part of our career. In our academic or professional career, we require giving a presentation and it might be in front of a big audience. Hence, it is important that you speak in fluent English. 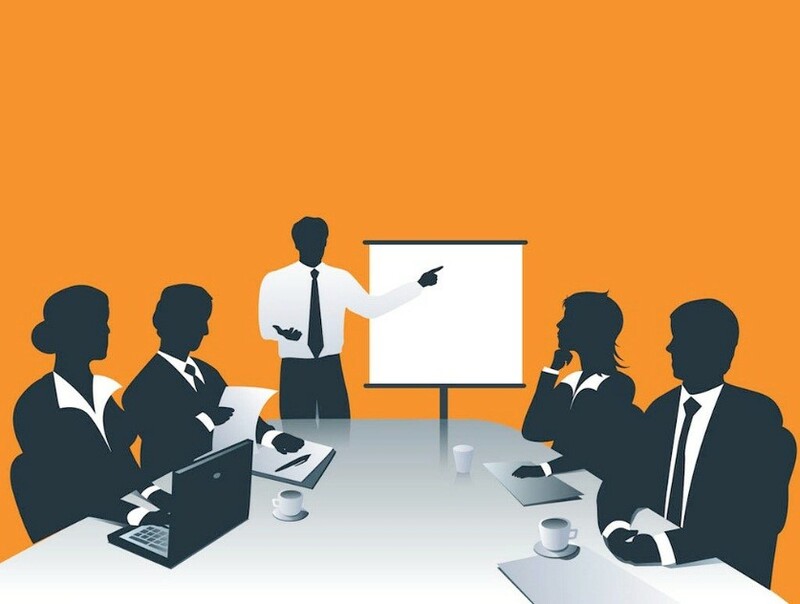 Every now and then when there is a meeting or presentation scheduled, we get afraid and confused as we are not sure of the things to speak, especially in front of others.Therefore, let us look at important things that we need to keep in mind while preparing for a meeting or a presentation. Before preparing for a meeting / presentation, you need to think of an important topic which can be discussed or explained. You need to understand what is the real purpose of your talk? Why is it that you were asked to speak? What does the audience expect? You need to make sure that the information must be complete. Your introduction while presentation will impress the audience. Therefore, focus on the way you will introduce and start your presentation. If there are guests /seniors, start with introducing them first, then give the agenda for the meeting/presentation. Before you deliver your presentation, you must know your audience. There are many questions you need to ask yourself - who is the audience? What is the purpose of the event? Why were you asked to speak? Where is it? When is it? Do not load too much content on your slides; keep only the main points which you want to speak on. If you keep a lot of content on your slides, then audience will not pay attention on your presentation and will only look into your slides. When you prepare for a presentation, you must prepare a storyboard in which you must decide how will be the flow of presentation. What will come first and then the remaining part. You must first sketch out the outline and assemble the points in proper format. Planning questions will be for two reasons, the first is to keep the meeting/presentation interactive and the second reason is that the audience might ask you doubts on certain topic, so prepare in advance. Every time when you make a presentation, make sure to adopt a storytelling approach. Make use of examples where needed because it’s easier to explain the complicated topic by giving examples. Always be confident in your presentation, never be nervous while presenting. Nervousness is a natural thing, but when you are fully prepared and if you work on the above points you will definitely give a good presentation. Never lose your confidence because if you lose your confidence, it will affect your communication. 5. How to Sign Off an Email?